Colleen, drawing on traditional string instruments and modern looping techniques alike. Photo by Aude Sirvain, courtesy Colleen. The essential quality of electronic music is, in some sense, collage: drawing from multi-track recording, it is defined by the ability to put things together in records or performances in new ways. The contents of that collage need not always be drum machine beats or synthesized alien sounds. And so, many artists draw from a different well. Mentioning Georgina Brett last week prompted more reader recommendations. 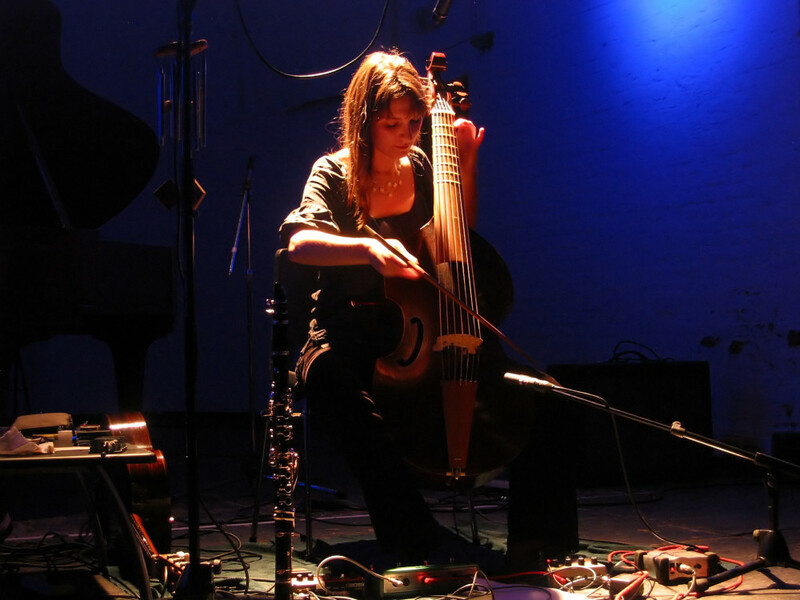 Two artists – one from France, one from Louisiana – exemplify the fusion of minimalist and folk traditions with electronic practice. And these two, each with a different spin on aesthetics and composition, also have 2013 records out or coming. 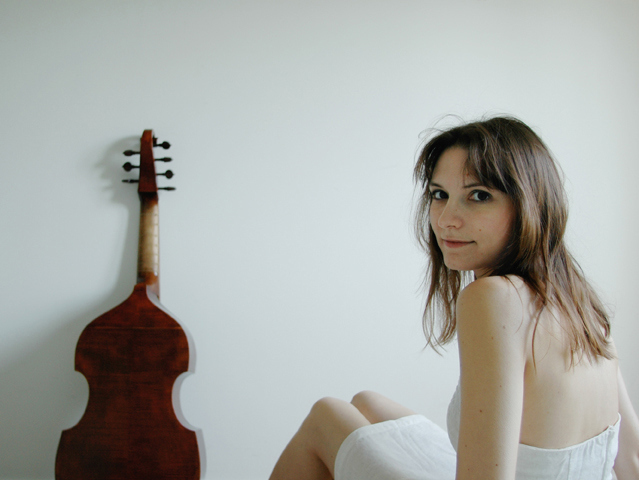 Hailing from Paris, Colleen – aka Cécile Schott – makes music that is strikingly simple, sometimes resembling ancient folk music, sometimes childlike play. But this is still electronic music; her debut reportedly came from an introduction to Acid (the sampling software, not the drug), and these live performances become real-time montage, timbres elevated to otherworldly ambiences. Vocals smear across one another in wet reverbs and layers. Pedals keep the focus on the instruments. Colleen playing live in Brussels in 2007, flanked by an array of stompboxes doing the work – a modular on the floor. Photo by Pascal Vermeulen, courtesy Colleen. Her influences are broader than a clumsy review could track; she charts her listening habits, traversing contemporary music and non-Western music, Moondog and Mozart. In May, she released The Weighing Of The Heart on Second Language. “Humming Fields” gets a proper video, to images by Makino Takashi. 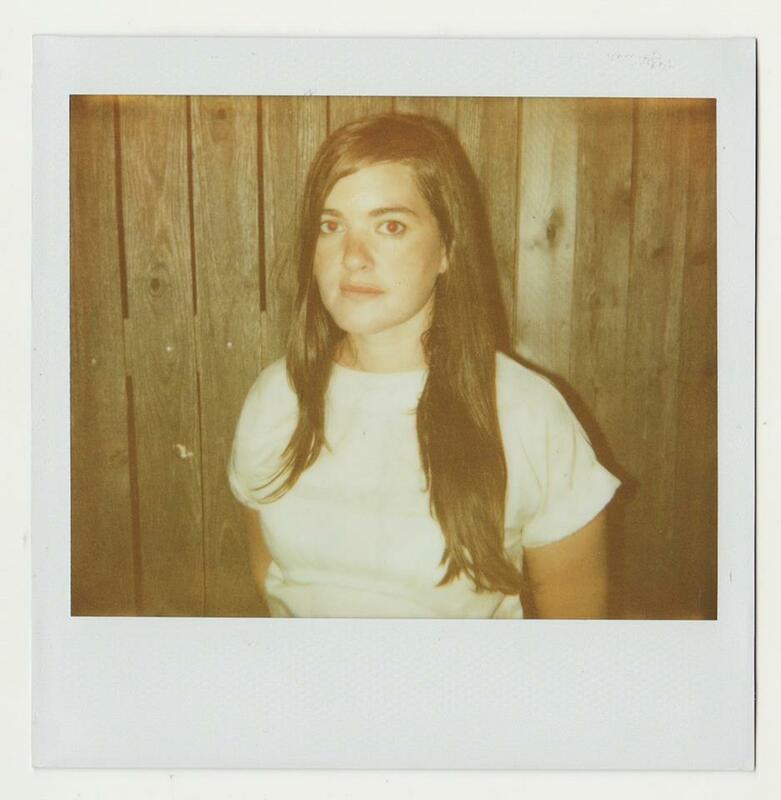 Julianna Barwick, courtesy the artist. Yes, in a Polaroid. Julianna Barwick is an interesting point of comparison to this music. Weaving her work into rich clouds of timbre, chords and voice blur as if seen through a mist. These same looping and layering techniques are taken to their extreme point in the teaser for August’s upcoming Nepenthe. There’s no video, but “One Half” official audio is also out in advance of the release. The icy-cool textures aren’t just your imagination – this is in fact a collaboration with the lovely Alex Sommers of Sigur Rós, Jónsi, and Alex fame. But this isn’t just about hipster cred. It isn’t imaginary folk music. Barwick comes out of a southern, rural Church choir tradition. Those churches, too, were defined partly by their ambiences, literally – the dynamics of many people singing together, forming new acoustic environments. Here, the electronics are a kind of stand-in for creating that dynamic; if Colleen or Georgina Brett made their solo voices into choirs, Barwick employs these masses of children together with electronics to imagine new ensembles. Tank Music has a recent session with her, closely connected to the new record. BOSS and Roland get some serious love, natch. Night Sounds #1 Featuring Julianna Barwick from The Philip Johnson Glass House on Vimeo. Night Sounds is a new Glass House performance series that parallels the Night (1947–2015) on-site sculpture-in-residence program. Guests joined musician Julianna Barwick, Night guest-curator Jordan Stein, and Glass House Director Henry Urbach for a live on-site performance and reception. A new artist whose work engages with the current sculpture will be selected to perform with each of the seven future iterations of the Night (1947–2015) exhibition, a series of works by contemporary artists that contend with the legacy of Alberto Giacometti’s absent sculpture Night and Johnson’s architectural opus. The three-part series of live music that accompanies John Chamberlain: Choices, on view through May 13 at the Guggenheim Museum, Divine Ricochet takes its thematic cue from the poetic fusion, chaotic riffing, explosive color and sublime assemblage that characterized Chamberlain’s work. The series title is borrowed from a 1991 work by the late American sculptor. A lover of music, Chamberlain pushed boundaries as he explored abstraction, rhythm, harmony, and dissonance, providing a vibrant context for contemporary musical experiments in the museum’s rotunda. Like Chamberlain’s work, the music of Grouper, Julianna Barwick, Cold Cave, and Zola Jesus exemplify the intense push and pull between power and delicacy, structure and abstraction. Brooklyn’s Derrick Belcham / A Story Told Well directs the dreamy vid. August 20 marks the release date.